Selecting a landing site is one of the most difficult and crucial steps in planning a robotic rover mission to Mars. The scientific value of any given site must be weighed against potential hazards of landing and then driving at this particular location. 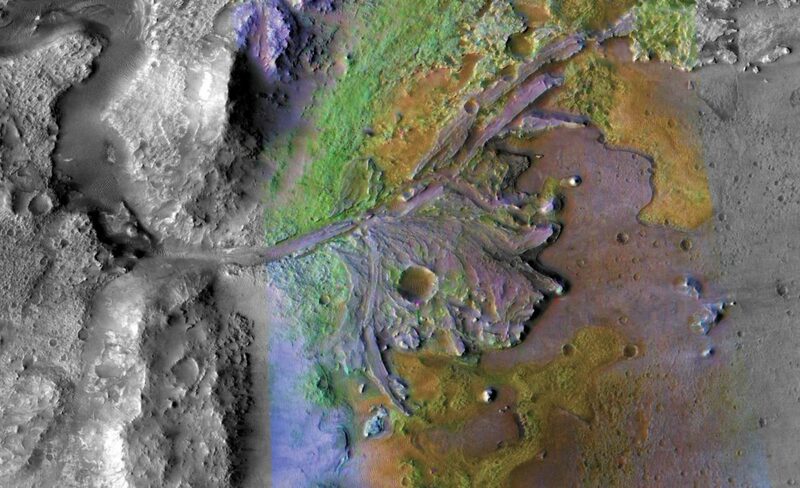 On Nov. 19, 2018, NASA announced the selection of Jezero Crater as the landing site for the agency’s upcoming Mars 2020 rover mission. The announcement comes just over a month after the fourth and final site selection workshop, where mission planners and members of the planetary science community debated the merits of these potential sites. Over 60 areas were considered during the five-year selection process. The Mars 2020 rover will seek out signs of past microbial life on Mars and collect soil and rock samples, storing some of them in a cache on the Martian surface. NASA and the European Space Agency are currently studying concepts for a future mission to retrieve these samples and return them to Earth. 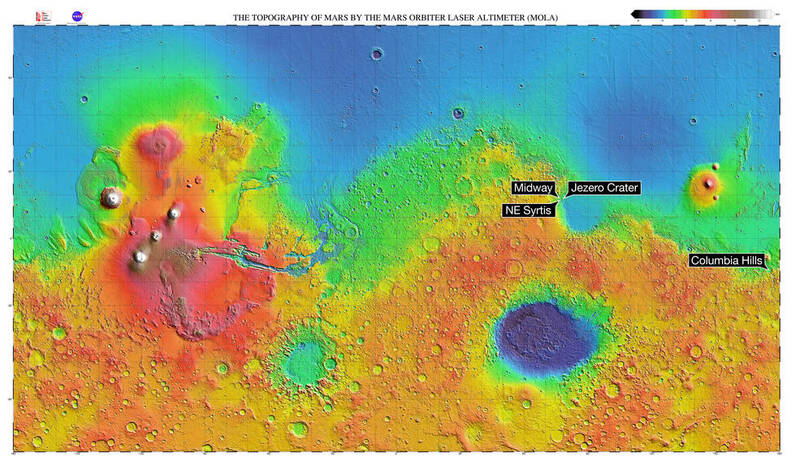 The selected landing site is in a 28-mile (45-kilometer) wide crater, located on the western edge of Isidis Planitia, a giant impact crater just north of the Red Planet’s equator. This area once contained an ancient river delta that may have collected and and preserved organic molecules and other signs of ancient microbial life, NASA said. The geologic features that make Jezero Crater of interest to mission scientists also make it a challenge for the Mars 2020 mission’s entry, descent and landing (EDL) engineers. In addition to the river delta and small impact craters, the site contains many boulders and rocks to the east, cliffs to the west and several sand-filled depressions that could trap the rover. One of the most important improvements to the Mars 2020 rover’s EDL systems is a new capability called Terrain Relative Navigation (TRN), this should enable the rocket-powered “sky-crane” descent stage that carries the rover to detect and avoid potentially hazardous terrain. According to NASA, the site selection of Jezero Crater is dependent on extensive testing and verification of the TRN capability. A final report will be presented to NASA Headquarters and an independent review board in the Fall of 2019. 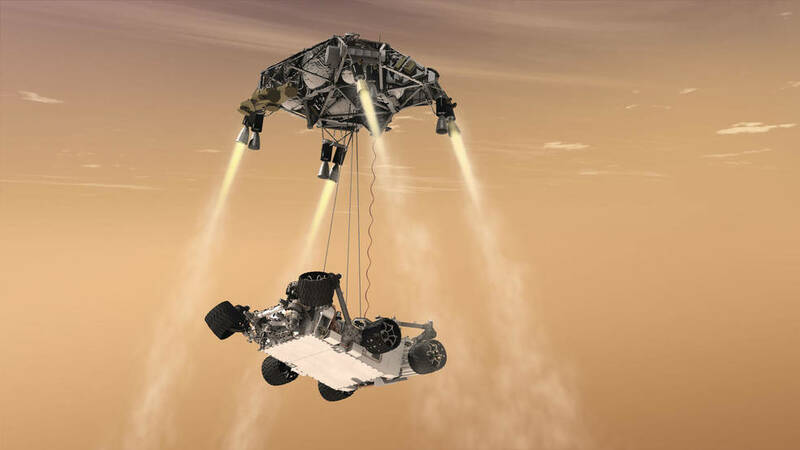 The Mars 2020 rover is scheduled to launch from Cape Canaveral Air Force Station in July of 2020. “Jezero” is a Slavic (i.e., Serbian) word meaning “lake.” An apt name for the landing site!